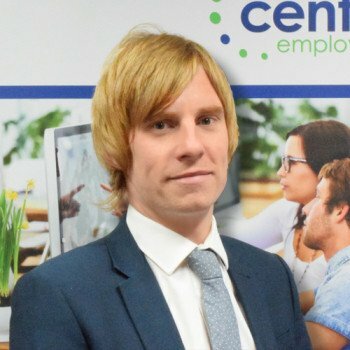 Greg manages & leads the commercial and technology teams at Central Employment. He leads by example and his work ethic is second to none, his department consists of professional and competent consultants who recruit temp, perm or contract personnel for businesses across the North East, UK & Europe. Greg also heads up a successful & growing Sales, Marketing & Technical Desk proving his natural ability to develop relationships with his clients. He is an efficient & competent recruiter with a no-nonsense attitude and an amazing ‘knack’ to deal with the unexpected. Greg is one of a few Geordie Gooner’s and loves music from the Stones to Soulwax. He also likes socialising, Dessert Boots, good food and football (Arsenal Fan)… Dislikes: Lateness & Pineapple on Pizza.